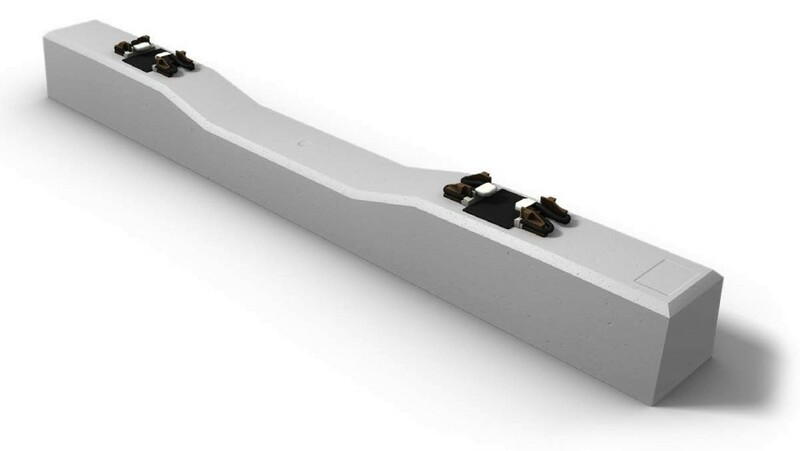 Rocla High Speed Rail Ties provide the rigid, stable track structure capable of withstanding the dynamic forces of high speed trains which is why concrete is essentially the standard tie material on high speed lines throughout the world. Rocla concrete ties are trusted on passenger rail networks throughout North America and we are the only manufacturer in the region with experience in high speed. Rocla concrete tie products are designed by industry leading engineers in North America who are experts in the technology of concrete and pre-stressing forces, designing ties according to the track conditions of each individual project. Our exacting production and quality control processes ensure that every tie provides reliable, consistent performance, contributing to the safe rail infrastructure necessary for passenger transit. Rocla High Speed Rail Ties have been designed to exceed the demands of the Acela train in Amtrak's Northeast Corridor. This design is the only one of its kind in North America and is the perfect solution for future high speed rail applications.